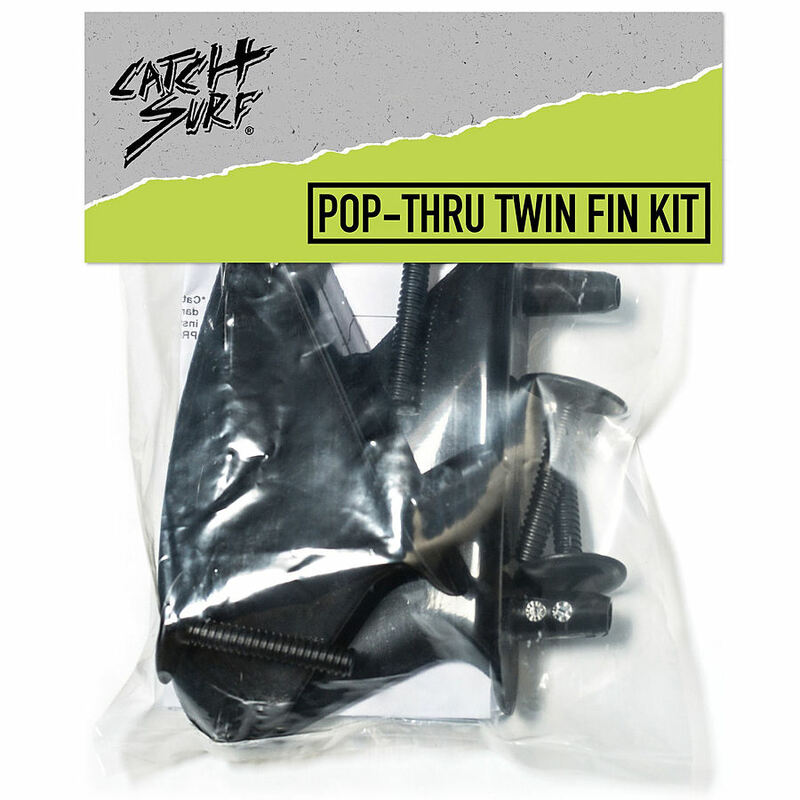 3.5	stars -	"Review for Catch Surf Beater Twin Fin Kit" Mark Taylor This Catch Surf Beater Twin Fin Kit is the best Catch Surf I have tried. Available NOW! Twin fin allows for radical moves of the bottom, hold in the barrel and more overall stability. Kit includes two (2) Catch surf durable soft plastic 3. 5" keel fins and four (4) durable plastic screws (2 per fin). Twin fin allows for radical moves of the bottom, hold in the barrel and more overall stability. Kit includes two (2) Catch surf durable soft plastic 3.5" keel fins and four (4) durable plastic screws (2 per fin).